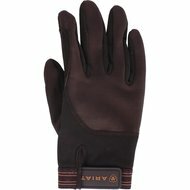 High-quality travel glove plastic suede on the palm of the hand exceptional sensitivity and grip. Stretch Tek Twill TM for maximum flexibility and comfortable fit. 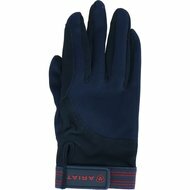 Preformed fingers, Velcro Velcro closure. Super gloves, do not slip and fit perfectly. Great for driving or for ground work. I like them very much and would order them again immediately! Nice glove, also strong. Not the cheapest but can still take a long time with intensive use. 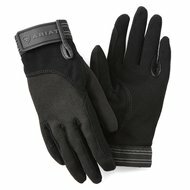 The quality is just a little less than I am used to from ariat. They wear very quickly. They also fall slightly smaller in size. Furthermore, the gloves are fine and very pleasant to ride with.